When it comes to Philadelphia’s culture of cuisine, we are surrounded by fantastic choices. Parx Casino, located just 15 miles outside of Philadelphia in the Bensalem area, has managed to capture the perfect combination of entertainment and dining, where it has hosted music titans like Rascal Flatts. 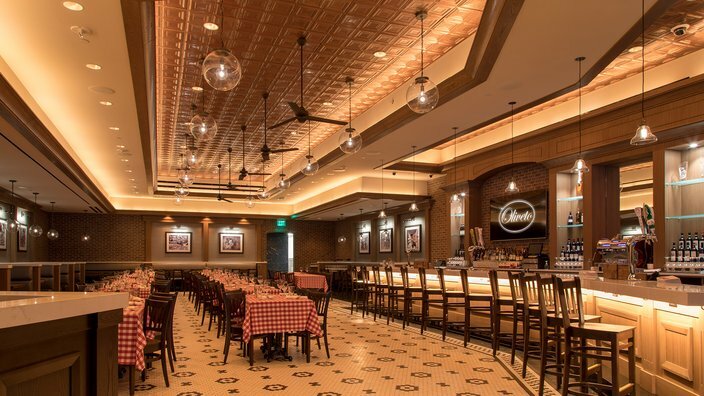 Parx Casino’s two new superior restaurants have been met with overwhelming positive reviews: The Liberty Bell Gastropub, and the Italian restaurant known as Oliveto. When you step into Oliveto, you are immediately encapsulated by the Italian ambiance. From the original brick styled walls, to the red-checkered table cloths, you know exactly what to expect. Let the fragrance of the kitchen gently waft overhead as you can only fathom what wonders you will soon be enjoying. The Gastropub relies on its modernized sleek and prestigious design to replace their customer’s stress from their busy day with an air of relaxation. The Gastropub was specifically designed for customers to socialize. 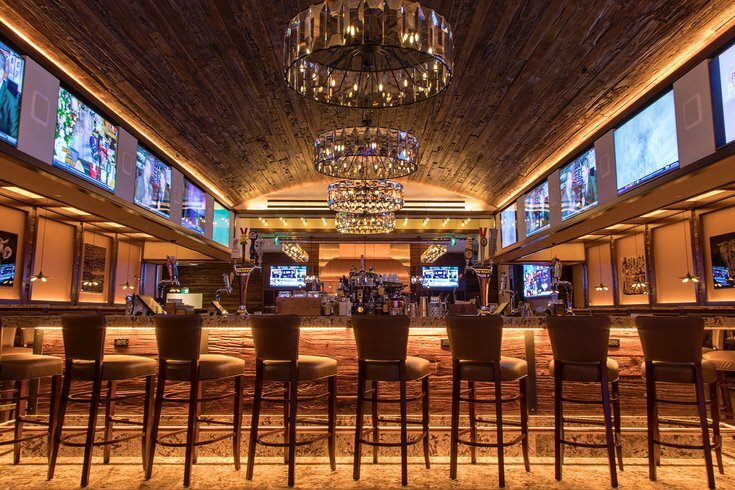 The pub utilizes 14 hi-definition TVs and a single 11-foot-wide LED video wall for every big game and performance. While the proper mood and atmosphere can attract any customer, what will keep them returning is the food itself. Fortunately, Oliveto and the Gastropub have nothing to worry about when it comes to the quality of their food. Oliveto serves expansive Italian classics. Starting with their appetizers, Oliveto welcomes you with esteemed starters such as fried calamari and clay pot baked jumbo wings. Their soups and salads range from the Italian wedding soup to the fresh and crisp garden spring mixed salad. For the main courses, Oliveto turns up the heat. From spaghettoni and meatballs, to their penne alla Norma, their pastas deliver the succulent flavors right to your plate. Their New York styled Neapolitan pizzas will send your taste buds into overdrive, such as their wild mushroom and meatball, to the classic white pizza. For desserts, they have a scrumptious line-up including the Junior’s New York cheesecake. They also serve dozens of cocktails, wine and domestic beer including Michelob Ultra, Twisted Tea, and Yuengling. The Gastropub offers its customers a wide menu brimmed with various dishes that appeal to everyone. Their appetizers start you off with pub wings, and even braised short ribs. Their soups and salads, like the seafood chowder are designed to whet your appetite for the main course. The Gastropub’s favorites include local free range fried chicken, and grilled Pennsylvania premium reserve pork chop. Gourmet burgers, including the truffle and crispy chicken burger are customer favorites. The Gastropub serves dozens of craft and draft beer such as Baddingtons, Double Nickel Session IPA, Samuel Adams Boston Lager and much more. Domestic, imported, and craft bottles as well as a variety of cocktails and wine can be ordered at the bar. Parx Casino employs hundreds of talented employees that have played a part in their remarkable success. That excellence also applies to Oliveto and the Gastropub, where their first-rate chefs, waiters and other staff have worked together to provide their customers the best dining experience possible. Both restaurants offer various specials for holidays and happy hour, so be sure to ask what they are when you enter. They also are open to take reservations at any time. Parx Casino warmly welcomes you to enjoy an evening filled with laughter, fun, and the best culinary experience you will find. Visit Parx Casino this season and witness the apex of Philadelphia entertainment.